– Put the coconut oil, garlic and onions into the pan. Gently heat until the onions are translucent. -Add the Thai Green curry paste into the pan and cook for further 5 minutes, then add the chicken and cook for another 5 minutes. -Add 100ml of coconut milk and 10 Basil leafs, stir well and wait for it to cook. -Add the fish sauce, oyster sauce, sugar. Simmer for 10minutes. -Add courgette,carrots and red pepper, and the rest of the coconut milk. Simmer for further 5 minutes. -Fold the rest of the basil leafs into the pot. -Voila, there you have it ! 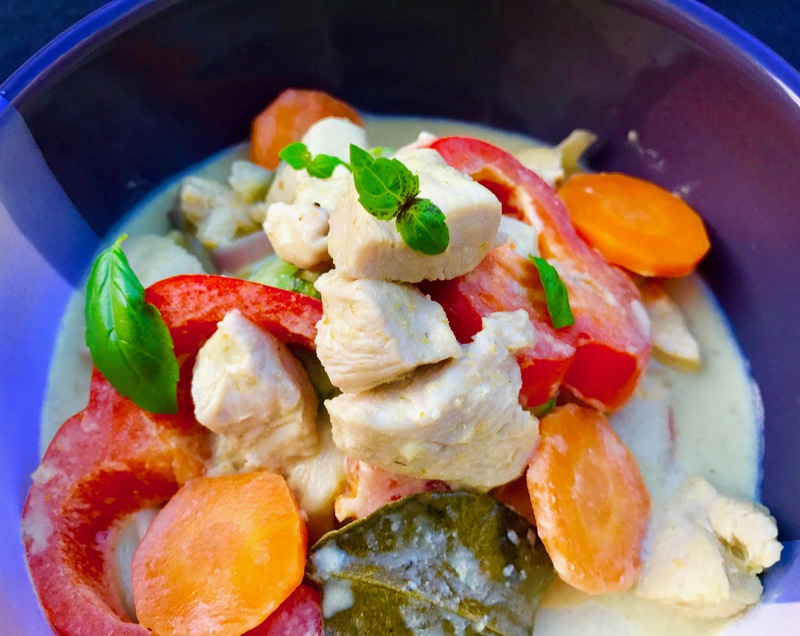 your Easy Thai Green Chicken Curry. -Use 3 tablespoon of Thai Green Curry paste if you liked it spicy. 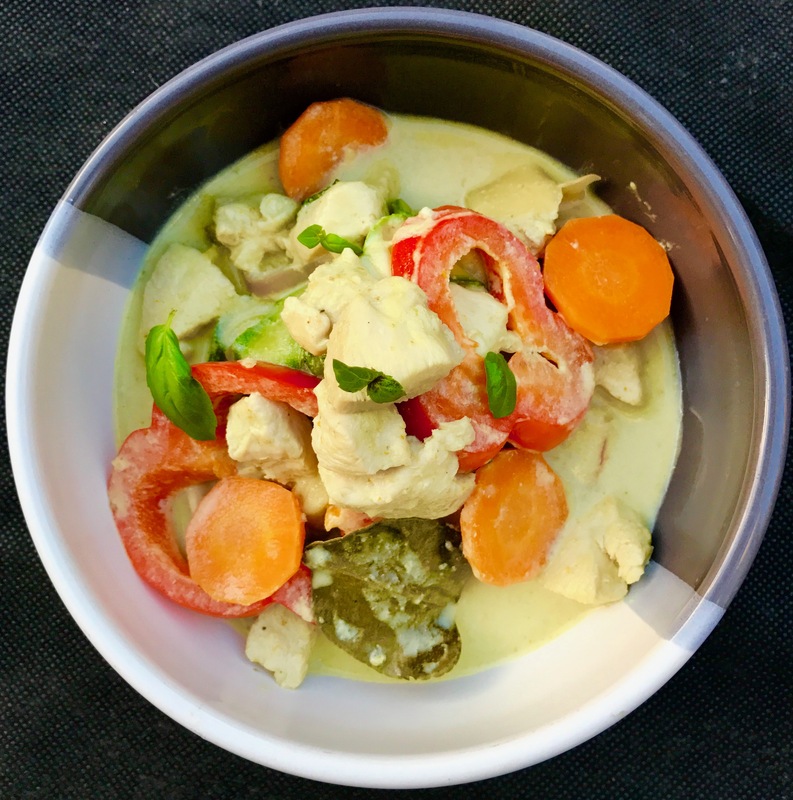 Make sure you adjust the seasoning accordingly to truly enjoy this Easy Thai Green Chicken Curry. -The original recipe uses the Holy basil, Turkey berry and Thai eggplant. But feel free to use any vegetables. I chose Red pepper, Carrot and Courgette because they are colourful and my daughter likes them. Happy cooking 🙋🏽.